Remember Snap’s Spectacles? Launched in fall, 2016, Spectacles were fashionable sunglasses that could record 30-second videos with a 115 degree lens. The specs were $130 and initially sold only through fun, bright yellow, SnapBot kiosks placed around the U.S. There was a lot of hype and fervor from teens to procure the sunglasses and post their videos. Roughly 220,000 Spectacles were sold, but only half of the owners used them after the first month, and Snap took a $40 million write-off after making too many. But, the company learned a lot from its first foray with Spectacles, and is now ready for the next iteration. So, get ready for Spectacles Version 2. The new glasses are priced at $149.99 and have a number of new features and improvements over version 1. The case is smaller and handier to carry around, and it charges the glasses up to four times. The glasses are lighter and more comfortable and the field of vision has been reduced to 105 degrees. In addition to video, the glasses now take photos – which of course can be posted online. Colors are new and more neutral with two lens versions, and the pairing process is much simpler than version 1. High quality photos and fast downloads improve the overall user experience. The glasses are now water resistant and can even take photos underwater. Spectacles are now on sale in the U.S., Canada, U.K., France, to be followed by 13 more European countries. Fortunately, no more SnapBot vending machines to limit purchases – it’s easy to buy since all that’s needed is to go online to Snap to purchase. It really is a wearable camera. Discuss the strategy that Snap is using to position itself as a camera/hardware company rather than a social media company. Pricing is usually a complex topic. Discuss the six steps for pricing (determining objectives, estimating demand, determining cost/profit relationships, select price level, set list price, and make adjustments). What price strategy is Snap using for Spectacles version 2? How does this compare with version 1? Will this be successful? Source: Constine, J. (26 April 2018). Snapchat launches Spectacles V2, camera glasses you’ll actually wear. TechCrunch. Language can be a great way to unite people, but it can also be a great barrier when people speak different languages. After all, not everyone speaks multiple languages fluently, and it can definitely be hard to navigate or do business in a country when one does not understand that language. In the sci-fi classic book, The Hitchhiker’s Guide to the Galaxy, traveler Arthur Dent had the use of a ‘babel fish’ to translate all alien languages. (The small, yellow fish when placed in the ear can help the listener instantly understand anything said, in any form of language.) Now, it seems that real-life is imitating science fiction with the recent announcement of Google Pixel Buds. The blue-tooth ear buds have many functions similar to other ear buds (assistant, messaging, music, etc.) 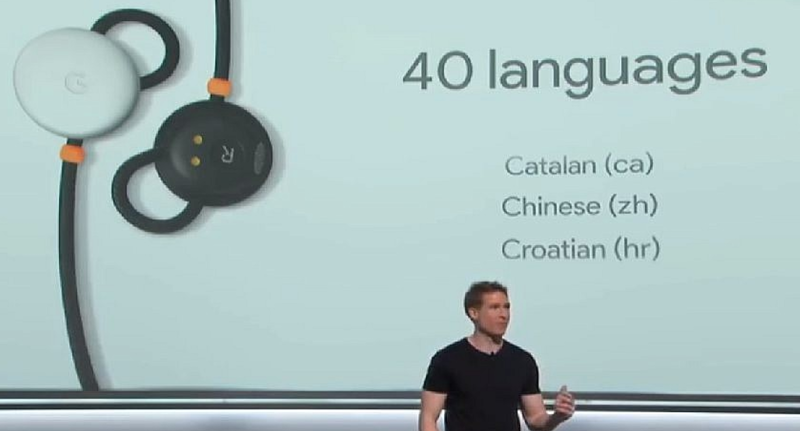 but they also have one striking new feature – the ability to translate language in real-time when paired with the Pixel 2 phone. Languages included are Arabic, Swedish, French, Japanese, German, Chinese, and many more. Here’s how it works: Tap and hold down the right earbud, thereby activating Google Assistant (paired with a Pixel 2 phone in your bag or pocket). Then, ask for help speaking a language. This then activates Google Translate, and you speak the phrase you need translated. The translated phrase appears on the phone screen and is read out of the phone speaker. The person you are speaking to then holds down the mic button and speaks the answer, which is then translated directly into the ear buds. Poll students: Who would be interested in using these? Why or why not? Other translators and devices also exist. Have students research other models and compare with Pixel ear buds. Discuss target markets and market segmentation. Have students develop a target market profile for this device. What should the marketing plan be for the new ear buds? Source: Google, The Verge, CNBC, New York Times, other news sources. Remember Google Glass? Google Glass had a short life; it was pulled from the market in 2015 amidst complaints about technology, usefulness, price, and privacy. The original product was focused on consumers as wearable technology. The glasses had a smart heads-up display and camera, allowing users to connect to data and share information and images. However, Alphabet (Google’s parent company) has now relaunched the product as Glass Enterprise Edition (EE). 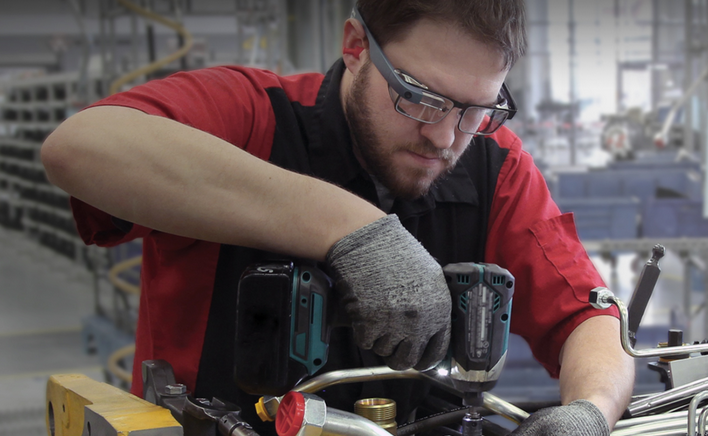 The new Glass EE is being repositioned into the enterprise/industrial market as wearable tech for workers. Alphabet has been testing Glass EE at locations for companies including Boeing, General Electric, Volkswagen, Samsung, Sutter Health, and DHL. The Glass EE looks similar to the original, but has a better camera, extended battery life, faster Wi-Fi and processor, and has a new red light that turns on when recording. The electronics are now modular in the shape of a pod which can be detached and reattached to any frame, including safety goggles. How useful are they? GE reported a 46% decrease in time for certain activities, and 85% of the workers believe the system will help reduce mistakes. Glass EE is sold exclusively through Glass Partners. Prices vary depending on the software customization, customer support, and training. It’s tough to reposition a failed product, but Glass EE seems ready for an entirely new market. What products are competitors (direct and indirect)? Divide students into teams and have each team develop a positioning map for Glass. Start with the original Google Glass, and then reposition for the Glass EE product.